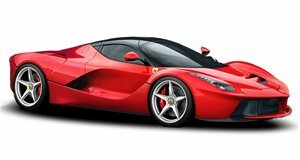 This will be the fastest and most expensive Ferrari that a non Formula 1 driver can drive. For whatever reason, Italy seems to be the fertile land of the supercar and it’s not just the legendary feud between Enzo Ferrari and Ferruccio Lamborghini or the styling pens of Pininfarina that do the trick. Could it be in the soil that feeds wineries and stocks shelves of olive oil? Or maybe the water that used to be carried through the Roman’s ancient aqueducts? Who knows. All we do know is something about Italy calls supercar dreamers like Horacio Pagani to its hills. It’s also coincidentally where Marco Renna is from. You may not know the guy’s name, but the 22 year-old aerospace engineering student, who also dabbles in Formula SAE competitions, has found time in his busy schedule to get good enough at rendering supercars to mess with the sacred and numerous lines of the Ferrari FXX K. The car we see here is the result of Renna picking apart the confusing camouflage of the Ferrari FXX K Evoluzione test mule we saw testing last week in order for us to see what the Prancing Horse’s latest creation might look like once the wraps come off. Feast your eyes because unless you have a yacht in your backyard, chances are life will pass by without you ever seeing one in person. Just like on the test mule, the defining feature of Renna’s FXX K Evoluzione is its rear wing. Unlike the split wing setup on the “standard FXX K,” the Evoluzione spec gets an unbroken rear wing that spans from one end of the car to the other. Also new are those vents below the taillights, presumably the result of countless hours in Ferrari’s wind tunnel. Up front we see the same arrowhead shape built to cut through the wind with upmost efficiency, but this time there are small vents peppered onto the sides of the front fascia, reminiscent of those seen on the Dodge Viper ACR. Ferrari being Ferrari, there’s no telling when—or even if—we’ll see the FXX K Evoluzione debut as a track attack monster. Best save those pennies for the wishing well.